In The Gambia the biggest barrier facing young people from poor, rural areas is an inability to afford university tuition fees. 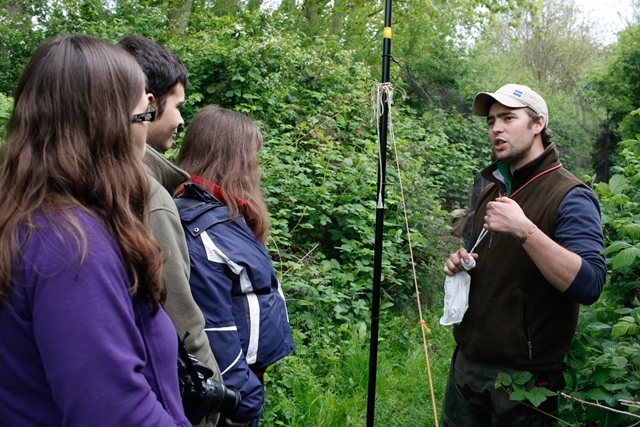 The Osprey Clubs scheme and Future Conservation Leaders programme help us to identify young people who would benefit from university bursaries. The University of The Gambia offers a range of environmental courses, including BSc in Agriculture, Biology and Environment Sciences as well as BSc in Geography. Tuition fees are typically £650-700 per year for these courses. We aim to offer a number of university bursaries annually, with numbers depending on funding secured. If you are interesting in supporting our bursaries scheme, please get in touch or donate here. We work with conservation NGOs to offer exciting work experience placements for the young people we work with in both the UK and The Gambia. Leadership skills are just as important to young conservationists beginning their careers as those in more senior positions. We provide bespoke leadership training and mentoring for the young leaders we work with. There is potential for young conservationists from the UK to travel to The Gambia to assist with the Osprey Clubs scheme and Future Conservation Leaders programme. If you are interested, please get in touch.